Looking for the latest clothes and accessories from the ever-growing fashion world? The latest and most stylish trends are what seem to have attracted the entire world for many years. Fashion designers from all around the world have been showcasing the best of their clothing or accessories keeping in mind the requirements of the people as well as market trends. However, as fashion disasters have proven over the years, we don't always get appropriate fashion ideas from designers. When talking about fashion, it is hard to resist the fact that Japan has earned a great reputation as the trendsetter in fashion design. But Japan has also been the source of most bizarre fashion ideas. The fashion industry is a highly competitive industry and fashion designers need to propagate their work and make their mark. This is the reason we get to see a variety of fashion trends which can sometimes be unusual and shocking. Some of the latest fashion trends in Japan are really weird and if you dare to wear them, these freaky fashion trends will make you look and feel different. 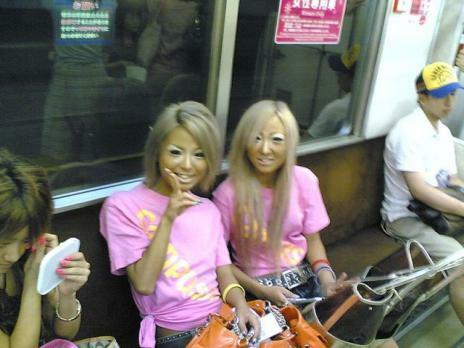 If we talk about the latest trends in street fashion in Japan, we cannot forget to highlight an interesting but quite odd culture called Ganguro where girls tan themselves to accentuate their skin tone and put sparkling, light colors on their faces. 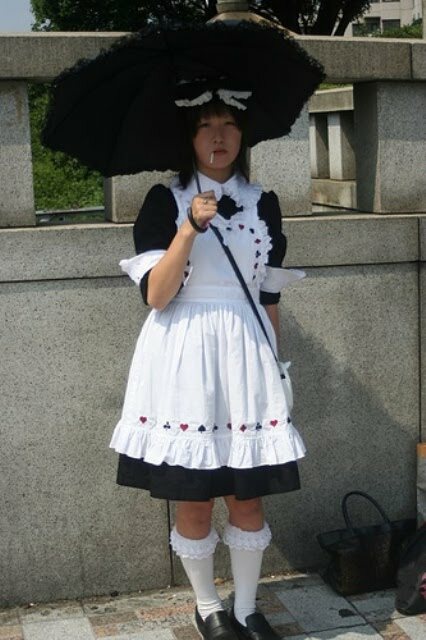 This type of look of Japanese girls consists of hair dyed in colors like yellow, pink, white, blue and deep tans. The eye make-up used here is extremely freaky as white eyeliner is used with false eyelashes. Girls also use brightly colored contact lenses and surround their eyes with multicolored eye shadow. As far as clothing is concerned, girls wear bright outfits and wear lots of jewelry. Isn’t this a freaky look? 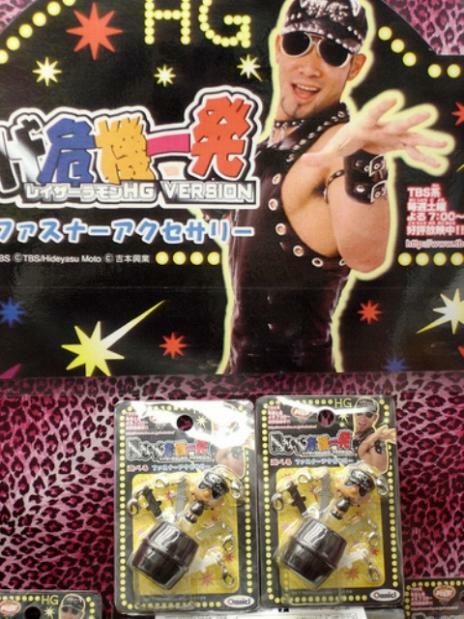 Those who dare to wear might want to go for the Ganguro look! Next time you see someone carrying off the Ganguro look, don’t doubt their taste as this is one of Japan's leading freaky fashion trends. We all have a passion for shoes. Some of us prefer wearing light shoes that are comfortable while others prefer wearing high-heeled shoes or boots. But, quite a few of us would rather go for shoes which are freaky and different in all aspects. Those preferring extremely high heels might appreciate the next weird fashion trend for shoes and boots that is currently all the rage in Japan. These shoes are not only high-heeled but their soles have metal horseshoes embedded that give them an entirely different look. Though hard to imagine, horseshoes for humans are now for real, and for all the girls who have long desired to wear such kind of shoes or boots, the wait is over. Fashion trends are ever-changing over the years; we get to see many new trends to follow. However, if the latest trend in fashion is somewhat weird, only a few people usually accept such a change like our next freaky fashion trend. It is a distinct dress style one might expect to see in San Francisco's Castro district or New York City's Village; few might have thought such kind of fashion details as street fashion in Japan: small vests, hot pants, a cap and all of these in black PVC. To add on to this style are aviator sunglasses. Bright and beautiful eyes have always been likable. To give one's eyes a distinct look, contact lenses play an important role in the fashion world and a large variety are available on the market for people to choose from. 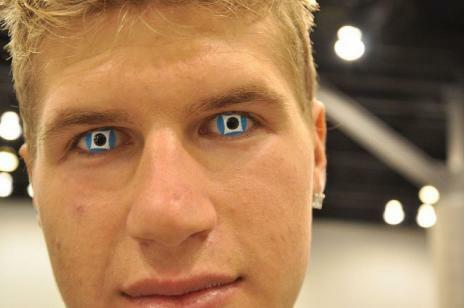 However, have you ever imagined contact lenses that are really freaky and could leave you baffled? Some of the companies in Japan have been offering contact lenses that are extra wide and tinted to give the "big-eyed look", also known as "anime lenses". Another strange variety of these lenses is one where the irises don't seem to move. Scary isn’t it? Fact is that people, especially the younger generation, are ready to wear such freaky contact lenses that make you look more like an animated character. Even in Japan, land of cartoons and anime, these latest street fashion trends have drawn attention even though they might not be the weirdest and freaking fashion trends ever seen.